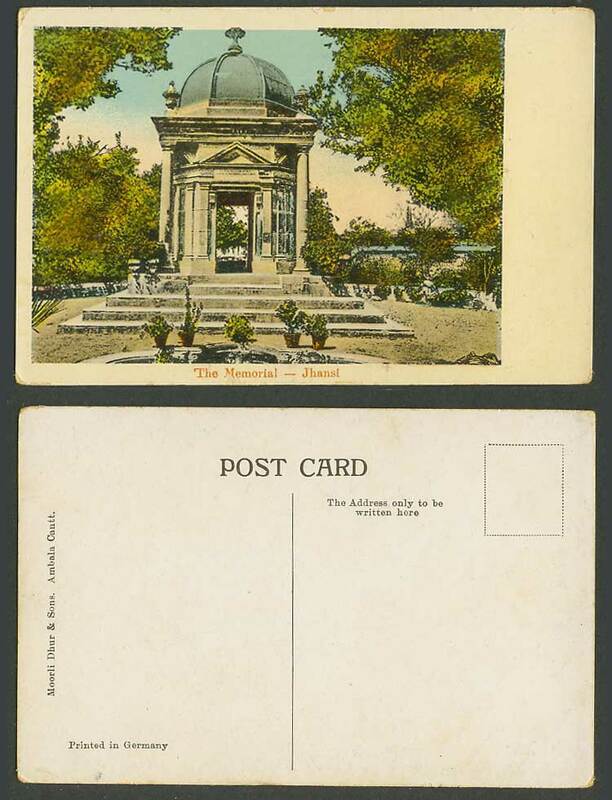 Vintage British Indian Colour Old Postcard, India, JHANSI Ihansi, The Memorial. Garden, Pond. Fountain. Steps. Pots Plants. Publisher: Moorli Dhur & Sons Ambala Cantt.